Reverend John Gerrie, c. 1875-1880. 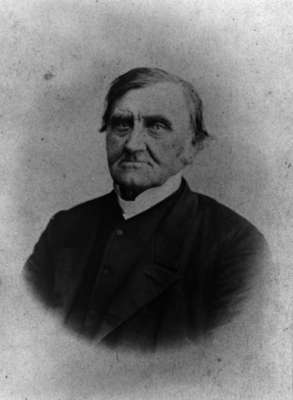 A black and white portrait photograph of Reverend John Gerrie (1796-1882). Reverend John Gerrie was born in Aberdeenshire, Scotland in 1796. He was the minister of the Whitby Baptist Church from 1853 until the church was destroyed by a storm in 1855. He was then a Whitby school trustee before moving on to another community as a clergyman. He died at Smith, near Peterborough, Ontario on August 6, 1882.